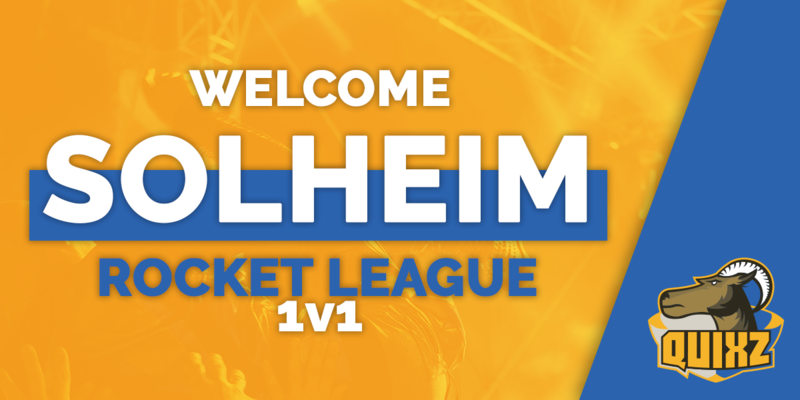 Quixz eSports - Welcome Solheim! When looking for players in different games, we decided to start small. Therefore, the 1v1 gamemode in Rocket League was where we started first. The game's main focus when talking about esports, is 3v3, but 1v1 still has a community. Rocket League is a game where one or more players face an opposing team, and the main goal is to get the ball into the other goal, using cars. The game has been out for quite some time, and already has a big esports community, something we want to add to. We decided to take a bet on a new and upcoming player. The choice landed on Joakim Solheim in the end. Solheim has yet to have any official matches, but said that he wanted to start with an organisation as fast as he could, because he wanted someone who could have his back. He said that he will need a lot of practice to become a tournament winning asset, but we want someone with determination, and Joakim is just the guy.